Moms who have infants and toddlers at the house will find this new website offering diaper coupons delightful. DiaperCouponsHub.com is a website that is all about diapers and diaper coupons. 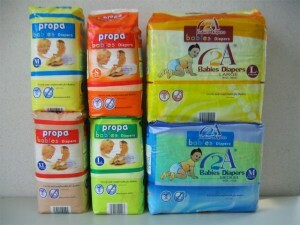 The site offers the most recent diaper coupons from major diaper companies like Pampers and Huggies. As diaper companies often have different promotions, there are a lot of opportunities for mothers to save quite a large part of their diaper budget by taking advantage of these diaper promotions. The website regularly updates its offers daily, weekly and monthly, ensuring that its coupons are the most recent ones available. The site also offers consumers the opportunity to get diapers for free through its Huggies coupons, Pull-ups coupons, Pampers coupons, Luvs coupons and a number of other coupons from participating diaper companies. Consumers who want to get their diaper coupons from the website need to create an account with the site. After successfully registering, they can start choosing and printing their preferred diaper offers. These coupons can be presented at any grocery store that accepts coupons. Websites like this certainly give budget-conscious consumers opportunities for saving money, money that they can use for other important things. Especially for mothers taking care of infants and toddlers, a significant part of the grocery budget usually goes to diapers and other important baby necessities. Being able to get great discounts in diapers is a big help. Aside from DiaperCouponsHub.com, other daily deals websites like Coupons.com also have updated deals and coupons that can help consumers save big on their groceries. Every mother knows that caring for a baby is not an easy task at all. Knowing that their babies are fragile and sensitive, mothers know that only the best must be provided to them to give them the optimum protection so they grow into healthy adults someday. This in itself is a problem already because the best products for baby’s growth do not come cheap. As a result, parents sometimes seek a compromise in order to give the best to their baby.